Denver the Guilty Dog Children's Book! I was approached by Denver's Dad to do the illustrations for the book and have been working nonstop- and still am until the end of October! 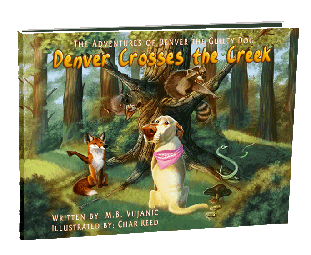 It is called "Denver Crosses the Creek" and it is the first of many books to come.